The Syringa had been slowly taking on water for hours before the captain of the tugboat noticed. The sealant and wedges of cedar the captain had jammed into a gap in the deck plating the day before had given way. Water had leaked into the ship and flowed to the engine room through an incision the previous owners cut in a bulkhead. Commercial boats are supposed to have safety mechanism to alert crew to flooding, but the bilge alarm that should’ve gone off was disconnected. The boat started acting sluggish, so the captain eased off the throttle. 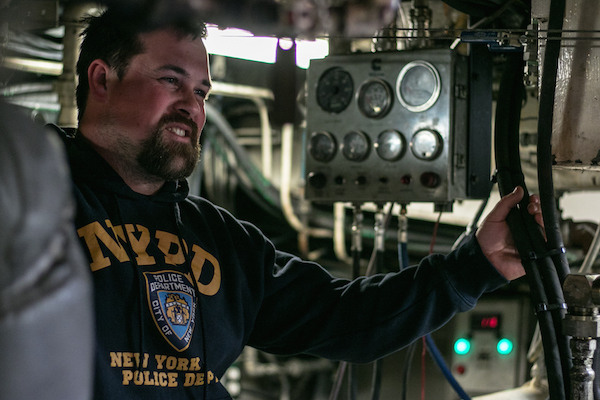 The back of the tug plunged underwater and the two crew members realized they were sinking. The captain and his deckhand had never trained for an emergency. They didn’t make a distress call, but cut the towline to the barge laden with construction materials and explosives instead. The captain turned the foundering tug towards a small island a nautical mile away. Water filled the wheelhouse and the two men jumped in the cold water without life-jackets or exposure suits. Those were stored below deck, another safety measure that failed. When the life raft popped free, they tried to inflate it five times. It didn’t work. The raft hadn’t undergone its scheduled inspection the year before. The last recorded inspection of the Syringa was in 1960, when it was built. The captain and deckhand of the Syringa were lucky. They swam 40 metres from where their vessel sank to the shore of Merry Island. There, they were taken in by the keeper of one of the last manned lighthouses in B.C., according to a recent marine investigation report. The Syringa is the only tugboat registered to Spick & Sons, a small construction company in Powell River. Before they purchased the tugboat, the report said the only seagoing experience the owners had was with pleasure sailboats. The Syringa was just one of six tugboats under 15 gross tonnes — known as under-tonnage boats — that sank in 2015. That is the highest number on record in 20 years. B.C.’s tugboat fleet is increasingly at risk of even more serious accidents, say marine experts. The majority of the province’s more than 1,000 tugs are like the Syringa: aging under-tonnage boats that aren’t required to undergo any safety inspection, with crews that aren’t required to undergo safety training, and that be legally operated under any conditions. A lot of those boats shouldn’t even be in the under-tonnage category, because they’re really larger than the legal size limit. One boat on the coast, classified as under 15 tonnes, was recently re-measured and assessed as 60 tonnes. There was a loophole that let companies skew ship measurements and, while it was closed in 1997, boats built before were grandfathered in without re-inspection. Only 43 of B.C.’s 1,037’s under-tonnage boats were built after 1997. The heavy reliance on these older, unregulated tugs stems from customers increasingly trying to cut costs by contracting with cheaper non-union operations, according to Terry Engler, president of the International Longshore and Warehouse Union, Local 400. Engler says lumber companies were looking for ways to save money after the 2008 financial crisis squeezed the industry. Companies opted to hire small tugboat operators that underbid businesses with bigger boats, larger crews and established safety records. People or companies with a single registered tugboat now comprise about a third of B.C.’s under-tonnage tug fleet. There are no restrictions on what these under-tonnage boats can tow either. As money shifted from towing logs to towing barges, the small operators followed. In order to haul as much for as little money as possible, customers built bigger barges instead of hiring larger or multiple tugboats. Despite the risks, under-tonnage tugboats continue to play a vital role in B.C.’s unique coastal economy. “There is no other place in the world where virtually every bit of marine commerce operates by tug and barge,” said Allan. The small tugs will keep running, aging and breaking down as long as there’s a demand. The Syringa’s owners overlooked several problems that larger under-tonnage operators say they spend a lot of time fixing. One of those larger operators is Catherwood Towing, which owns thirteen under-tonnage boats. Trevor Sexton, the company’s marine superintendent, says a lot of his budget goes to maintenance. Sexton says his boats exceed inspection standards. Transport Canada, the federal agency in charge of marine, air and rail safety, can randomly inspect under-tonnage boats, but rarely do. Most inspections happen after a major incident. An internal audit of Transport Canada released in 2014 found several weaknesses in regulatory oversight across its 70 offices. Funding for marine safety was then cut 23 per cent the following year. Transport Canada currently has a blue decal program for under-tonnage boats. To pass, owners inspect their own boats and get a sticker. Others think local operators should pull the industry forward when it comes to oversight. A few years ago, the Council of Marine Carriers — an organization representing B.C. 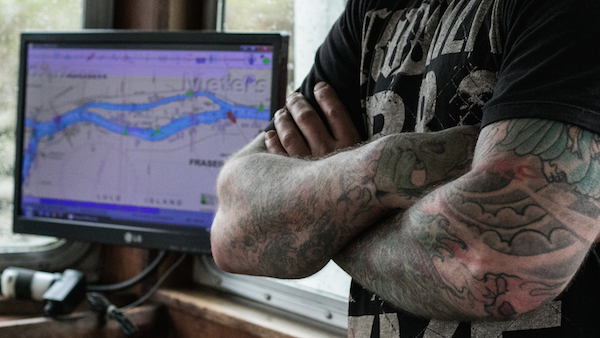 tugboat owners — tried a pilot program to regulate under-tonnage boats. “We had everything included in it from periodic inspections, to oil changes, to crew specifications and everything in between,” said Philip Nelson, president of the marine council. Transport Canada didn’t implement the program, despite the marine council’s efforts. 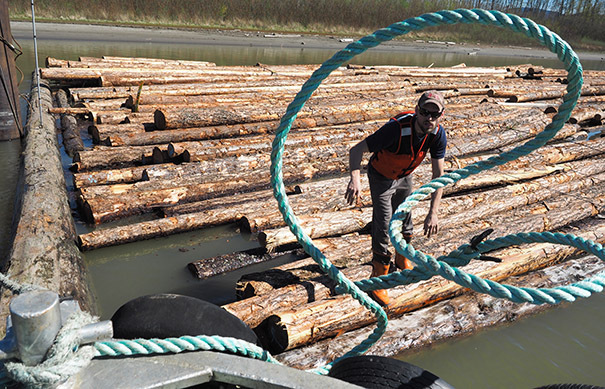 The marine investigation report for the Syringa says it was due to industry pushback. Nelson, who worked for Transport Canada for 16 years, was confused by that conclusion. Not everyone thinks self-regulation is the way to go. Engler is worried about placing the responsibility in the hands of private companies and sees a reinvigorated Transport Canada as the best way forward. Until then, industry experts fear B.C. will see more tugboat accidents along the coast. “You can’t stop people from going to work on these things, but regular review of basic safety and stability criteria is something that should be enforced,” said Allan.